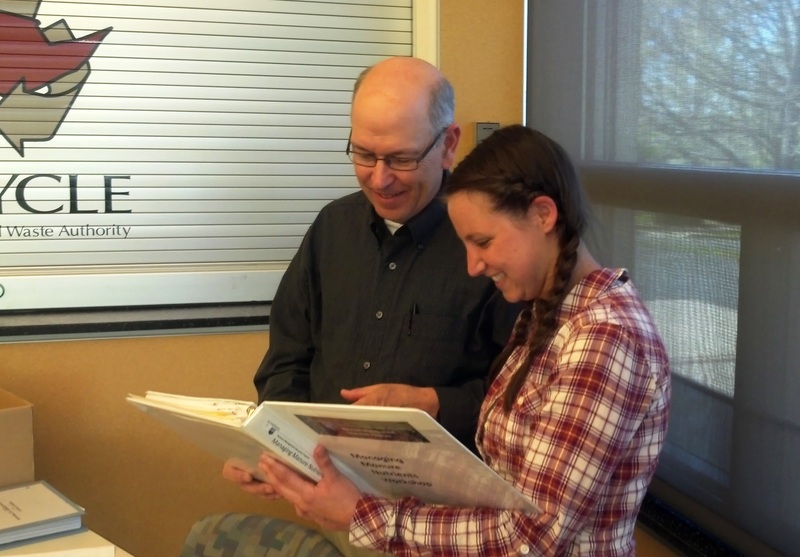 Laura Ball, a Research Assistant at Garvey Resources, Inc., is shown here with Dr. Douglas Beegle at a PA Nutrient Management Training Course. Dr. Beegle is a Distinguished Professor of Agronomy at Penn State University. The two-day training program on Manure Management is one of five required classes that must be taken before a candidate is allowed to take the PA Nutrient Management Certification Test. Dr. Beegle is widely known for his research and recommendations on phosphorus in crops and soils. Laura Ball is a graduate of Delaware Valley College and has been working for Garvey Resources for two years. As a certified Nutrient Management Specialist, Laura will be able to help farmers plan the safest and best use of biosolids, manure, and fertilizer. This is important because, when a farmer is using manure, he must have a manure management plan, and if the farmer wants to use biosolids, the plan must show that there is not a surplus of nitrogen or phosphorus for the fields that are owned or rented. This entry was posted in Agriculture, agronomic rates, beneficial use, biosolids as fertilizer, biosolids management, compliance issues, Nutrient management, Uncategorized and tagged agronomy, Delaware Valley College, Dr. Douglas Beegle, Laura Ball, manure, manure management, nutrient management, PA Nutrient Management Certification Test, Penn State University, phosphorus. Bookmark the permalink. moeite zich bewust zijn van te , Thanks a lot.